Q SPORTS, CUERNAVACA, Mexico – Costa Ricans are euphoric as the national team, the Seleccion Nacional or “Sele” readies to face Mexico, in a World Cup qualifying match today in Mexico City. As these top two teams in the CONCACAF’s Hexagonal table square off, the home team is expecting a strong showing from the visitors. Mexico coach Juan Carlos Osorio is asking for home supporters to be patient and unconditionally back the team against Costa Rica in Estadio Azteca. The Sele go into the game in first position, while Mexico is desperate for a victory in at a venue that hasn’t been all too friendly to them. In the Hexagonal qualification for Brazil 2014, Mexico only managed to win one of its five home games. Bryan Ruiz told the press in Costa Rica earlier in the week. “From the start it’ll be a testing game, but we have the quality to steer through those minutes and control the match. 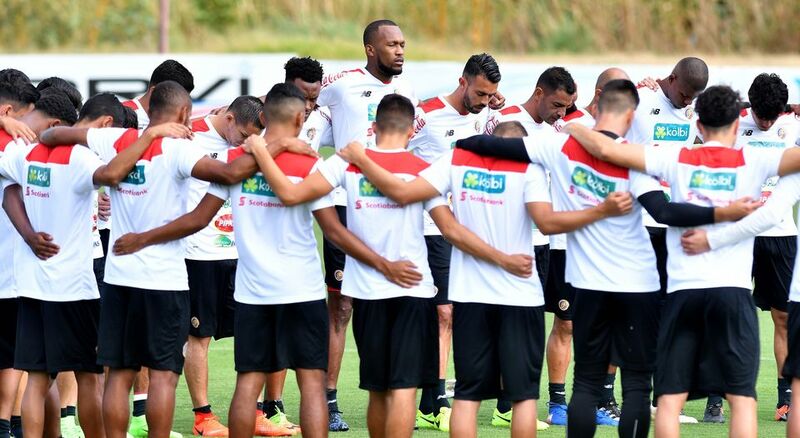 Mexico is expected to try to take control early, while being cautious of the damage Costa Rica can cause on the counter-attack from likes of Ruiz, Joel Campbell, Christian Bolaños and Celso Borges. Games in recent years between Mexico and Costa Rica have been very close, no one has won by more than one goal and the majority have been draws. Over the last five games between the two each team has one win, with three draws. If you think that Costa Rica making the quarterfinals of a World Cup was a big shock, then you haven’t been paying attention to them very long. For some time now, after Mexico, Costa Rica is the most in the region. 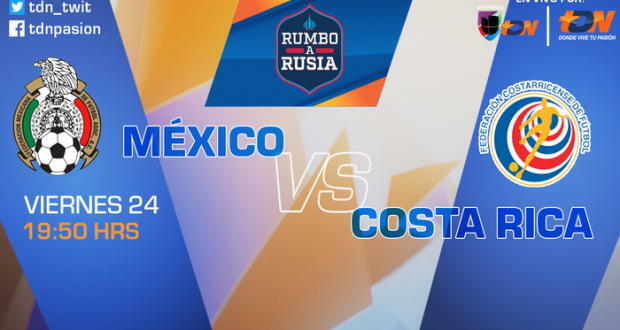 The Costa Rica – Mexico game kicks off at 7:50pm (Costa Rica time). In Costa Rica the game will be broadcast live on TDN – Channel 7. In Mexico and Central America on Univision, Canal 5, Imagen TV. In the United States, the game is being carried on Univision and Fox Sports. Online at Azteca Deportes, Televisa Deportes, Fox Soccer 2GO, Univision Now.